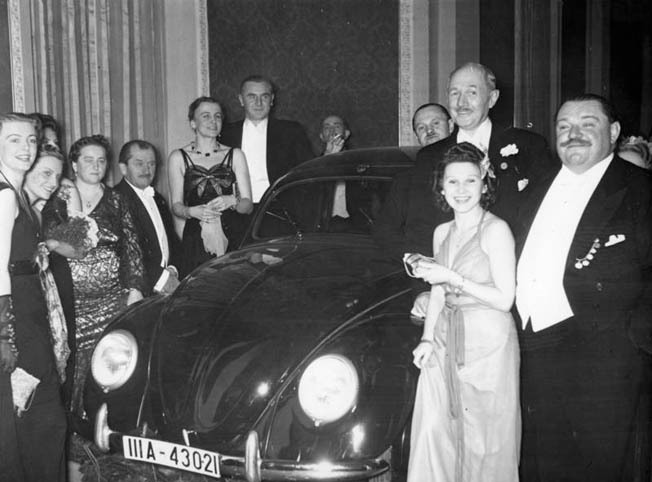 Translated as “the people’s car,” the much-loved Volkswagen Bug was the brainchild of two designers: Ferdinand Porshe and Adolf Hitler. The original concept for a German Kleinauto (small car) was in part a response to the phenomenal success of the Ford Model T. The German motorcycle company NSU decided to venture into the small-car business and hired Porsche to design such a car. The prototype was known as the Type 32 of 1932, and was only one of numerous prototypes before the actual Volkswagen went into series production. Porsche had considerable experience in automotive design. Born and educated in the Czech Republic, his mentor was Hans Ledwinka, designer of the early rear-engine air-cooled Tatra. Porsche believed in Ledwinka’s design. In 1900, at the age of 25, he showed his Lohner-Porsche-Electrochaise, powered by electric motors, causing a sensation at the Paris World’s Fair. Tags Adolf Hitler, Daimler-Benz, German, Germany, Kubelwagen, Model T, Nazi Party, Porsche, United States, Volkswagen.